Back in November 2017, we visited the headquarters of Yoku’s Island Express developer Villa Gorilla in Stockholm, Sweden and recorded an audio interview with programmer Jens Andersson and artist Mattias Snygg. That interview has been in the Team17 vaults since – part of a proposed podcast series that is yet to take form. But with the recent nomination for Yoku at The Game Awards, we decided now might be as good a time as any to release it! If you loved the pinball-platforming of Yoku’s Island Express and would like to know more about how it was made, or find out about how its amazing creators got into the games industry, then do give it a listen. Even if you haven’t played the game (and you should, there’s even a free demo!) then listen anyway. We’re hopeful you’ll find it interesting! The podcast interview is currently in submission with iTunes, and should hopefully be live soon. But if you’d like to listen now then you can hear it in the embedded player below, or by adding the RSS feed to your podcast player of choice, or by searching for “Team17 Talk” in the Podbean mobile app! EDIT: The itunes version of the podcast is now live, here! As mentioned above, this interview was originally recorded as part of a planned podcast series, interviewing various Team17 developers to allow you to get to know the people behind our games in more depth than ever before. If you’d like the series to go ahead then we’d love to hear your feedback. We’re sure there’s lots that can be improved, so please do let us know what you thought – good and bad – either by emailing community@team17.com or chatting to us over on Twitter. While we’re here, don’t forget there’s still a few more days left to vote for Yoku’s Island Express in the Best Debut Indie Game category at The Game Awards 2018. Every vote counts and we’d love your help to get Yoku more recognition! 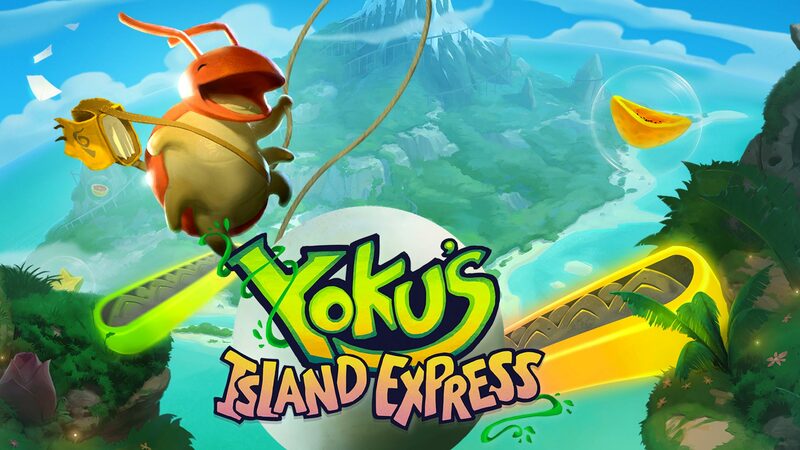 If you love Yoku’s Island Express then please vote here before December 6th!